Success! Jackson from Kenya raised $1,500 to fund orthopedic surgery. Jackson's treatment was fully funded on January 1, 2017. Jackson underwent successful orthopedic surgery. Doctors performed the second stage of bone transport. He is scheduled for several clinical visits to assess his improvement. Soon, Jackson will be able to walk easily. Jackson is a 30-year-old man from Kenya. He used to work on a construction site, and he used his savings to pay his sister’s school fees. Unfortunately, a road accident in 2014 left Jackson with fractures in his right tibia. After the accident, Jackson underwent two surgeries. Unfortunately, he could not afford the additional surgery required to complete his treatment. Since then, he has been walking on crutches. Fortunately, Jackson was referred to our medical partner’s hospital, AIC Kijabe Hospital. On December 7, he underwent a bone transport procedure. This surgery will allow him to use his leg and will prevent severe infection. Our medical partner, African Mission Healthcare Foundation, has requested $1,500 to fund his healthcare. “I want to be able to walk again and provide for my sister,” says Jackson. Jackson's case was submitted by Joan Kadagaya at African Mission Healthcare Foundation in Kenya. Jackson was submitted by Joan Kadagaya, Curative Medical Support Program-Partner Representative at African Mission Healthcare Foundation, our medical partner in Kenya. Jackson received treatment at AIC Kijabe Hospital. Medical partners often provide care to patients accepted by Watsi before those patients are fully funded, operating under the guarantee that the cost of care will be paid for by donors. Jackson's profile was published to start raising funds. Jackson's treatment was fully funded. Jackson's treatment was successful. Read the update. Mary is a farmer from Kenya. She is married and a mother of seven children. In 1998, Mary began to experience troubling symptoms, including neck swelling, difficulty swallowing, and breathing. She was diagnosed with a multinodular goiter. She needs surgery to prevent her symptoms from getting worse. Our medical partner, African Mission Healthcare Foundation, is helping Mary receive treatment. 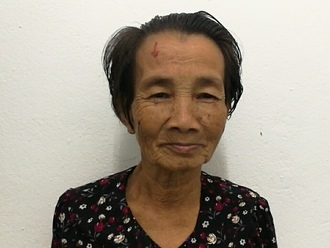 She is scheduled to undergo a thyroidectomy on March 28 at our medical partner's care center. Surgeons will remove all or part of her thyroid gland. This procedure will cost $641, and she and her family need help raising money.